Political parties in the north-east united in condemnation last night after more election campaign signs were vandalised. A number of placards in support of Ross Thomson, the Conservative candidate for Aberdeen South, have been smashed on the North Deeside Road at Bieldside. SNP signs have previously been targeted in a similar area and there have also been incidents in the West Aberdeenshire and Kincardine constituency. A Scottish Conservative party spokesman branded the behaviour “disgraceful”, while the SNP’s Kevin Stewart insisted the “crass attempts to intimidate and silence democracy” would not be successful. 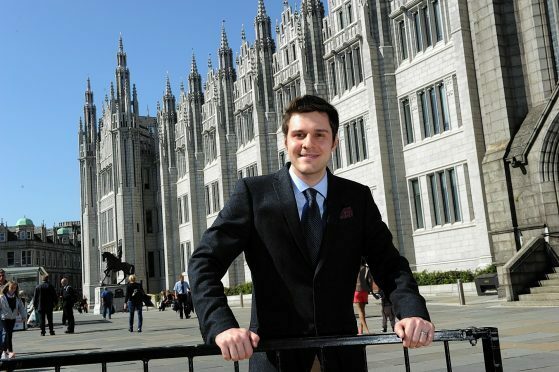 Labour’s candidate in Aberdeen South, Callum O’Dwyer, described the vandalism as “deeply disappointing” and Jenny Wilson, his Liberal Democrat rival, called it the “kind of appalling act which turns people away from politics”. Long-term SNP supporter Serena Arif, whose sign was damaged four times before she installed a CCTV camera, also hit out at the latest incident. She said: “It’s intentional criminal damage and it’s an attempt to intimidate you as an individual. Aberdeen Central MSP Mr Stewart added: “The person or people responsible for these criminal acts must stop this idiotic and aggressive behaviour. The Tory spokesman said Scottish Conservative field posters and signs had been vandalised in each of the last three national elections. Ms Wilson added: ‘This is the kind of appalling act which turns people away from politics. The SNP’s candidate in the seat is Callum McCaig.